Port Douglas is blessed to be the closest town and departure point on the coast to the Great Barrier Reef. Most reef tour boats take about 1.5 hours to steam the 32 or so nautical miles to the outer reef. Most of the reef is located off the mainland of Queensland. Corals require clear water which is low in nutrients as the zooxanthellae that live within the coral, are plants and need light to photosynthesis. Corals cannot not tolerate freshwater or nutrients carried in the water run-off from the mainland and this is why the most diverse and abundant corals grow offshore where the environmental conditions are more suitable and the water is nice and clear. Every visitor to the Marine Park must pay a small fee called the Environmental Management Charge or EMC for short. The funds raised from this fee go directly to the management authority to protect and conserve the Great Barrier Reef for many generations to come. 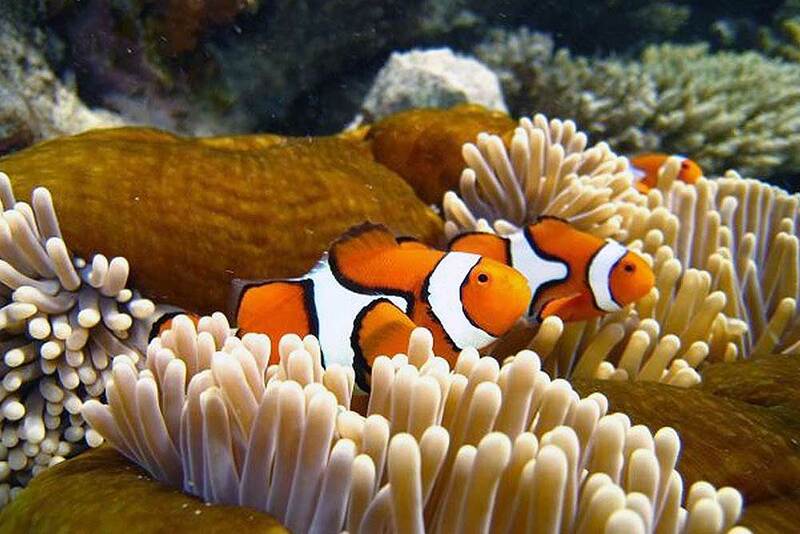 In 1981 the Great Barrier Reef was also given World Heritage status. The Great Barrier Reef contains over twenty five per cent of the world’s marine species in an area that is, about half the size of Texas! That is a whole lot of coral reef! What sort of marine life can be found on the Great Barrier Reef? Over 6600 species of flora and fauna can be found . Due to its vast biodiversity, warm clear waters and accessibility from the boats, the Great Barrier Reef is a very popular destination, especially for scuba divers and snorkelers. This entry was posted in Conservation, Great Barrier Reef, Holiday tips, Scuba Diving, Snorkeling and tagged corals, EMC, fish, GBRMPA, Island, Port Douglas, sea birds, turtles.